To get help selecting courses, planning for University Transfer, or applying for graduation, contact an Academic Advisor. For walk-in and appointment schedules, please check the appointment booking system. How Can Academic Advising Help You? Academic Advising is available for all students at Alexander College. Advisors assist students with program and course selection and help them develop an education plan that meets specific individual needs. Students are encouraged to plan their academic careers well ahead so that they can transfer to another college or a university with maximum credit and minimal disruption in their studies or graduate from Alexander College within the standard program duration. Our Advisors can answer questions, provide information and support, and assist students to create and follow a plan of study. For university transfer students, an Advisor can provide assistance with selecting courses that will be transferable to the institution a student plans to attend in the future. For students in the Associate Degree program, an Advisor can explain the program requirements and help with a graduation application. Do I need to make an appointment to see an Academic Advisor? Although drop-ins are welcome based on availability, it is best to make an appointment ahead of time. 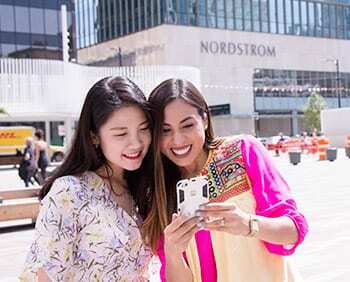 Making an appointment allows you to choose the day, time, and location (Burnaby campus or Vancouver campus) that is most convenient for you, and it ensures that you can see an advisor when you need to. How do I make an appointment to see an Academic Advisor? To make an appointment with an Academic Advisor please create an account at https://alexandercollege.mywconline.net/ and book an appointment online. We recommend making an appointment to see an Advisor at least once per term. This allows us to help you review your degree or transfer progress, update you on any program changes, and make necessary changes to your degree or transfer plans. You should also see an Academic Advisor any time you have a question about your program, course selection, or services for student success at Alexander College. How many credits do I need to apply for university transfer? Most programs require a minimum of 24 credits, as accepted by the receiving institution. The courses that are in progress the term you apply for transfer are included in this total, even though you don’t have final grades for them yet. You’ll want to make sure to send a final transcript once your grades are released. What else do I need for university transfer? In addition to 24 transferrable credits, most universities will require you to prove English language proficiency. Different universities and programs may require you to take specific courses before you are eligible for admission. Some programs may require additional application materials, such as a personal profile, a video interview, or references. Academic Advising can help you prepare for all of these different parts of an application. How can I find out if Alexander College courses will transfer to other British Columbia colleges and universities? The BC Transfer Guide (http://www.bctransferguide.ca/) is a tool that allows you to see how credit earned at one institution in BC will transfer to another. If you would like help interpreting the results of a BC Transfer Guide search, an Academic Advisor will be happy to assist you. What is the difference between faculty admission requirements and major program requirements? 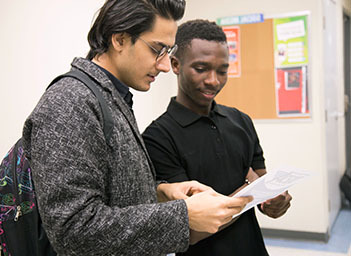 Admission requirements are courses, proficiencies, and other application materials that an applicant MUST complete to be eligible to apply to a university, faculty, or major. Program requirements are courses or other requirements that must be completed before a student can graduate with a major or from a faculty of study. Alexander College students who plan to transfer to university must meet university and faculty admission requirements before they can apply. On the other hand, completing program requirements before you transfer may be beneficial, but it is not necessary. Every university and faculty will have different admission requirements, so it’s a good idea to check with Academic Advising to make sure you are eligible to apply to the universities and faculties you’re interested in. I want to transfer to a Bachelor’s Degree program but I don’t know what I’m interested in studying. What should I do? First of all, don’t worry! It’s completely normal to be unsure about your academic and career life. College is a wonderful time and opportunity to explore your options. Alexander College’s Academic Advisors can assist you with this. What are the requirements for completing an Associate’s Degree program at Alexander College? All of Alexander College’s Associate Degree programs have different requirements. To review your degree’s requirements and make a plan for successful completion of your program, please make an appointment to see an advisor one-on-one. When can I apply to graduate? You can apply to graduate once you begin your final term of study. Simply make an appointment to see an Academic Advisor, who will review your degree requirements and assess your eligibility for graduation. The advisor will help you fill out an Application for Graduation form, and will then file the form until your final grades come out at the end of term, when your graduation can be processed. How long does it take for my Application for Graduation to be processed? You will be contacted by the Registrar’s Office up to eight weeks after the final grade release for your final term of study, or up to eight weeks after you submit your completed application form at the Academic Advising office (whichever comes later). Can my family come from overseas to attend my Convocation ceremony? To request an Invitation Letter for your family to attend the ceremony from overseas, please contact the Student Success Services Officer (studentsuccess@alexandercollege.ca). What are credits and how to they work? Credits are point values assigned to classes, usually based on the number of contact hours in the course. Most courses at Alexander College will be worth 3 or 4 credits. Students build credit in different subject areas to meet degree requirements or to prepare to transfer to university for second or third year. Credits are also used in the calculation of Grade Point Average (GPA). What’s the difference between Term GPA, Cumulative GPA, and Graduation GPA? Term GPA is your grade point average for credit-based courses attempted in a single term. Cumulative GPA is the grade point average for all credit-based courses attempted over your total academic record. Graduation GPA is the grade point average for courses used to meet Associate Degree graduation requirements only. What are prerequisites? Where can I find information about prerequisites for courses offered at Alexander College? What does a “W” mean on a transcript? A grade of “W” for a course indicates that you chose to withdraw from that course after the Add/Drop deadline. This means that you chose to stop taking this course and therefore did not complete it. As long as you do this before the withdraw deadline, you will see a “W” on your transcript. A “W” is better than an “F” as it will not affect your GPA; however, if your academic history shows a lot of “W” grades, it’s a good idea to see an Academic Advisor to discuss how you can plan your term workload to avoid more withdraws in the future. How many courses should I take each term? Some things to consider to help you decide how many courses to take in a term include: your study status in Canada, how long the term is, the time frame in which you want to transfer or graduate, your current level of math and/or English placement, prerequisites needed, availability of courses, your learning style, extracurricular activities, and other non-school related commitments. No one knows you better than you know yourself, so don’t register in more courses than you think you can handle! If you need any assistance, an Academic Advisor can help you decide how heavy of a course load is right for you. How do I know if I should withdraw from a course or not? Withdrawing from a course is often a difficult decision. Some reasons that students withdraw include academic difficulty, family/personal issues, or health reasons. Choosing to withdraw is a very personal decision and it is highly recommended that you speak with your instructor and see an Academic Advisor before you decide. If it is past the Add/Drop course date and you are struggling with a course or worried that it will negatively affect your GPA, you have the option to withdraw from the course. You must decide to withdraw before the withdraw deadline. The withdraw deadline is posted on the bulletin boards on campus and on the Alexander College website each term. You can also check with Admissions Officers, Enrolment Advisors or Academic Advisors about the withdraw deadline for the current semester. I’m struggling in one or more of my classes and worried I might fail. What should I do? Alexander College offers many support services to help students facing academic difficulty. Small class sizes mean students are able to approach their instructors with course or performance questions. 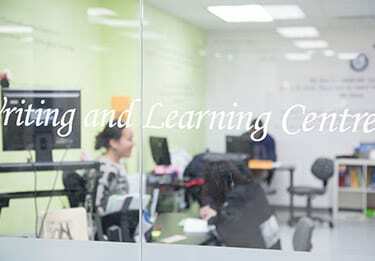 The Writing and Learning Centre offers free tutoring for all subjects taught at AC. And if you’re struggling with work-life balance, time management, or test anxiety, you should consider reaching out to our Health and Wellness Counsellor, Kerry Anne Holloway. Academic Advising is happy to help connect you with any or all of these college services – we’re here to help support you as you strive for success. Academic Standing is the way the college monitors student academic performance. There are four types of Academic Standing: Good Academic Standing, Academic Warning, Academic Probation, and Academic Suspension. If you want to learn more about your academic standing, you should make an appointment to see an Academic Advisor. Our Writing and Learning Centre (WLC) is a major hub of learning support services at Alexander College. Advisors assist students with program and course selection and help them develop an education plan that meets specific individual needs.